Are you prepared for the busiest year for the delivery industry ever? A successful first time delivery is crucial to gain a strong position in the expanding delivery business market. 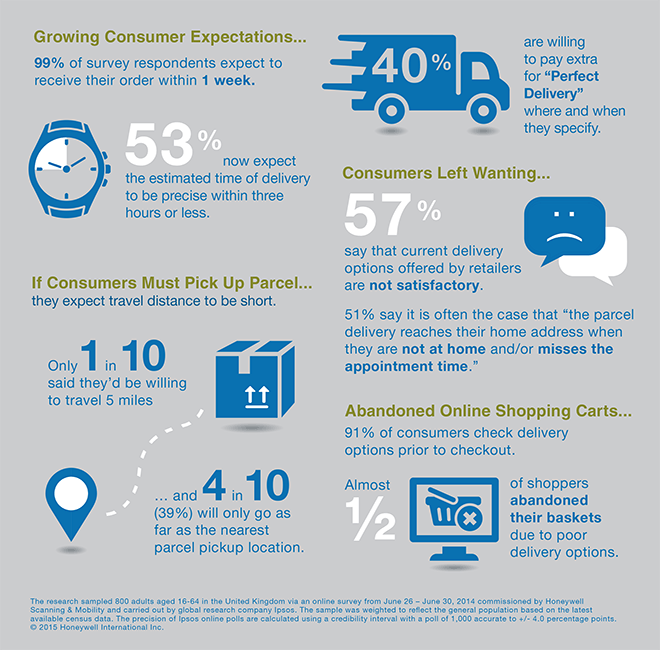 As Honeywell’s latest research unveils, some 40% of online shoppers are willing to pay extra for "Perfect Delivery" where and when they specify. If you fail to meet their demands about time and place of the delivery, your potential customers will likely turn to different providers that can meet their expectations. It is crucial to succeed in this challenge if you want to increase revenues in what is going to be the busiest year ever for the delivery industry. Honeywell, together with Sygic, will deliver a presentation at the European Post and Parcel Services conference in Vienna on how technology can help. It’s all about achieving operational acuity and ensuring you have the right resource in the right place at the right time. Last year, the peak periods like Christmas or Black Friday, proved that regardless of planning efforts, the reality in the field is often far from what is planned. At the end of the day, the success of the delivery lies mostly on the shoulders of your carriers out on the road. Therefore, flexibility in the field is the key skill to focus on. In periods of unprecedented peaks, temporary carriers are necessary, but can prove detrimental for the quality of your service. An estimated 2.5 temporary couriers are needed to cover an experienced driver’s workload. The question is how to overcome this efficiency gap? How to stay flexible and keep the quality of your service at the highest possible level and succeed first time delivery? The use of technology can surely help deliver the efficiency of service that your customers have come to expect. Honeywell and Sygic have joined forces as technology partners, and will expose at the European Post and Parcel Services conference in Vienna the twist that the latest technology can deliver to post and parcel services in order to succeed in the first time delivery challenge. Don’t miss our joint presentation on 25/3 at 14:55 (Session Three: Strategies for the new postal landscape) to discover how to get ready to get ready for the busiest year ever for the delivery industry. If you won’t have a chance to attend the conference, subscribe to the list below, to be sure to receive our presentation after the conference.